At the heart of the objections of atheists/secularists to the state Religious Education course at second level is that it disrespects their philosophical convictions and breaches their human rights. Atheist/secular families believe that the State is pursuing an aim of indoctrination by not respecting their philosophical convictions as the aims of the course is to contribute to the moral and spiritual development of their children through religious education. Contributing to the moral and spiritual education of the children of secular parents is clearly not in accordance with Article 42.1 of the Constitution. Can you imagine the outcry if the State was contributing to the moral and spiritual education of the children of religious parents through atheist education? In order for the children of atheists/secularists to access this Religious Education course they must endure the disrespect of the state for their parents’ philosophical convictions. Parents can still legally opt their children out of this state Religious Education course as there is an opt out clause in the Education Act 1998 (Section 30 – 2 (e)). 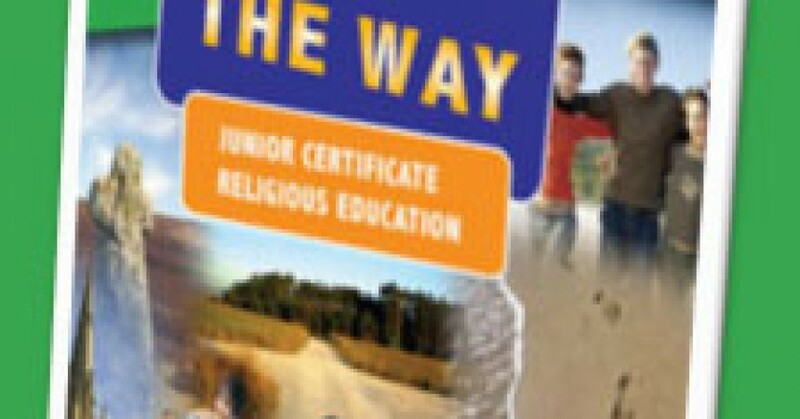 Unfortunately many schools make this Religious Education course compulsory notwithstanding the fact that it is still legally possible to opt out of it. The State claims that this course is open to all students and many schools do not accept that there is a right to opt out. The Irish Human Rights Commission in their Report on Religion and Education recognises that their is a legal rights to opt out of this course. Opting their children out of this Religious Education course is a problem for parents and another one is that the state has introduced Religious Instruction as an exam subject which is not accessible to some children. With this article we will outline how this course fails to protect the human rights of atheists/secular parents and their children and how the state is pursuing an aim of indoctrination by not respecting their philosophical convictions. The Irish Constitution does not refer specifically to the rights of religious parents but protects all parents and their children. If the Irish Constitution does not oblige the state to respect the philosophical convictions of atheist/secular parents and their children then the state is in breach of all its international human rights obligations in relation to the rights of parents and children in education. Acknowledging the non-religious interpretation of life does not constitute ‘respect’ for the philosophical convictions of non-religious parents under Article II of Protocol 1 of the European Convention and the various UN treaties that Ireland has ratified. Contributing to the spiritual and moral development of the children of atheists/secularists through religious education will cause children to face a conflict of allegiance between the school and their family values (ECHR Mansur & Others v Turkey, Sept 2014). The State does not recognise that secular families have any contribution to make to Irish society and personal relationships. At Junior Certificate level atheism/humanism are mentioned in a section called ‘Challenges to faith’ alongside materialism and fundamentalism. Most students take the course at Junior Certificate level. Under human rights law states are obliged to respect parents’ convictions in the education system be they religious or philosophical.1 That applies to the European Convention but also all the UN treaties that Ireland has ratified. We will concentrate on the European Convention here given the European Convention on Human Rights Act 2003. This means that there is also a positive obligation on the state to respect the philosophical convictions of secular parents and their children in the education system. An appreciation of this aspect of human rights law is needed to understand what is at the heart of the objections to the state RE course at second level. Having a positive obligation means that the state must do something to protect parents’ convictions. Even calling the course Religious Education raises issues about ‘respect’ for atheists/secular families under Article II of Protocol 1 of the European Convention. Pursuing an aim of indoctrination is not respecting parents’ convictions. Acknowledging the non-religious interpretation of life does not constitute respect for parents’ philosophical convictions under the European Convention and consequently the state is pursuing an aim of indoctrination. Contributing to the moral and spiritual development of the children of atheists/secularists through religious education is disrespect. Any reading of the Religious Education course leaves one with the understanding that there is no appreciation or respect for the philosophical convictions of atheists/secular families. A key point in understanding the issues regarding ‘respect’ is that the standard under human rights law is far greater than is accepted as the norm in Ireland. This is where a lot of tension arises and the best way to overcome this is just to apply human rights standards. Combining the state Religious Education course with another course such as the Guidelines for the Faith Formation and Development of Catholic students is not permitted given the judgement in the Folgero case at the European Court. The European Court found that expecting parents to identify the areas of the course that did not respect their philosophical convictions was an unacceptable burden and also put parents in the position that they had to reveal their convictions. This raises issues under Article 9 of the European Convention. Under Article 9 of the European Convention, individuals have the right not to be obliged to reveal their religious and philosophical convictions even indirectly. The Toledo Guiding Principles are based on human rights law and at the heart of these principles is the ‘right to respect’ for parents’ convictions. The state RE course cannot possibly be in accordance with those principles when it disrespects the philosophical convictions of atheists/secular parents. It only acknowledges the non-religious interpretation of life and contributes to the moral and spiritual development of the children of atheists/secular families through religious education. The Catholic Church has rejected the Toledo Guiding Principles. “promote the moral, spiritual, social and personal development of students and provide health education for them, in consultation with their parents, having regard to the characteristic spirit of the school”. There was no suggestion that any school could promote the moral and spiritual development of the children of atheists/secularists through religious education and it seems clear that the word ‘spiritual’ does not refer in particular to religion. In fact given the obligation on Boards of Management under Section 15 2 (e) of the Education Act to have respect and promote respect for the diversity of values, beliefs and ways of life of society, it seems clear that it actually breaches the Act to promote the spiritual and moral development of the children of atheists/secularists through religious education even in schools that have a religious ethos. The basis of secularism is the separation of church and state and promoting the spiritual and moral education of the children of atheists/secularists through religious education is indoctrination. This behaviour undermines pluralism the basis for any democracy. In addition it breaches parents’ inalienable right to respect for their convictions under Article 42.1 of the Constitution. Given that atheists/secularists and the non-religious in general can only access the state Religious Education course by suffering disrespect for their philosophical convictions this obviously raises issues with regard to discrimination on the grounds of religion under the Equal Status Act. The reason why these issues have not come before the courts can be understood by a reading of the Louise O’Keeffe case at the European Court. There is no effective remedy (Article 13 of the European Convention) for parents and children to vindicate their human rights in Ireland. In 2010 when Atheist Ireland raised these issues with the National Council for Curriculum and Assessment we were informed that they considered the course to be up to human rights standards. It is difficult to understand how they considered that it was up to human rights standards as even a cursory glance at human rights law would lead one to the understanding that in order to respect the philosophical convictions of the non-religious you cannot refer to atheists as a challenge to faith, mention them alongside materialism and fundamentalism and promote the moral and spiritual development of their children through religious education. Since the O’Keeffe case at the European Court the state is now responsible for the protection of the rights guaranteed under the European Convention in all schools and they cannot absolve themselves of that responsibility. The state Religious Education course is not up to human rights standards, does not comply with the Toledo Guiding Principles and disrespects the rights of atheist/secular parents under Article 42.1 of the Constitution. 2 In Lautsi v Italy ((App No. 30814/06) 18th March 2011) the European Court found that secularism is a conviction within the meaning of Article 9 (the right to freedom of thought, conscience and religion) and Article II of Protocol 1 (the right to education). 4 (c) Article 2 of Protocol No. 1 does not permit a distinction to be drawn between religious instruction and other subjects. It enjoins the State to respect parents’ convictions, be they religious or philosophical, throughout the entire State education programme (see Kjeldsen, Busk Madsen and Pedersen, cited above, p. 25, §51). That duty is broad in its extent as it applies not only to the content of education and the manner of its provision but also to the performance of all the “functions” assumed by the State. The verb “respect” means more than “acknowledge” or “take into account”. In addition to a primarily negative undertaking, it implies some positive obligation on the part of the State. The term “conviction”, taken on its own, is not synonymous with the words “opinions” and “ideas”. It denotes views that attain a certain level of cogency, seriousness, cohesion and importance (see Valsamis, cited above, pp. 2323-24, §§ 25 and 27, and Campbell and Cosans, cited above, pp. 16-17, §§ 36-37). 6Folgero V Norway 29.06.07 para 84(h) The second sentence of Article 2 of Protocol No. 1 implies on the other hand that the State, in fulfilling the functions assumed by it in regard to education and teaching, must take care that information or knowledge included in the curriculum is conveyed in an objective, critical and pluralistic manner. 8Grzelak V Poland “86. In democratic societies, in which several religions coexist within one and the same population, it may be necessary to place restrictions on freedom of thought, conscience and religion in order to reconcile the interests of the various groups and ensure that everyone’s beliefs are respected (see Kokkinakis, cited above, § 33). The Court has frequently emphasised the State’s role as the neutral and impartial organiser of the exercise of various religions, faiths and beliefs, and stated that this role is conducive to public order, religious harmony and tolerance in a democratic society (see Leyla Şahin v. Turkey [GC], no. 44774/98, § 107, ECHR 2005 XI). 9 “92. The Court takes the view that the provisions of the Ordinance which provide for a mark to be given for “religion/ethics” on school reports cannot, as such, be considered to infringe Article 14 taken in conjunction with Article 9 of the Convention as long as the mark constitutes neutral information on the fact that a pupil followed one of the optional courses offered at a school. However, a regulation of this kind must also respect the right of pupils not to be compelled, even indirectly, to reveal their religious beliefs or lack thereof. 93. The Court reiterates that religious beliefs do not constitute information that can be used to distinguish an individual citizen in his relations with the State. Not only are they a matter of individual conscience, they may also, like other information, change over a person’s lifetime.” Grzelak V Poland 2004 ECHR. As a humanist my children took this examination course and found it very interesting. It was in no way indoctrination or any form of bias. Such rubbish in the above article made me laugh. You may have had a good experience but the nature of the patronage system means that other people may have a completely different experience. It is up to the BOM how the school presents the course. From the complaints AI have received, other parents fount the course very slanted towards Catholicism. We happy that you children had a good experience with the course. Unfortunately that is not the experience of many parents as we get complaints here on a constant basis. RTE did an item on it recently as schools were refusing to let children opt out of it. Would you like to point out what part of the human rights principles and law that are raised in the article that you have an issue with. All schools at second level are obliged to teach religious instruction as well. This is a religious instruction course put together by the relevant religious body. In most cases this is the Catholic Church. In addition to the issues outlined in the above Article most schools combine the state RE course with the Guidelines for the Faith Formation and Development of Catholic students and present this as suitable for all. There is not enough time in a busy schedule for schools to offer the state RE course and also have a religious instruction course so they just combine them. In addition to the above reply I’ve just remembered that the Humanist Assoc of Ireland has rejected the state RE Course as unsuitable for Humanists. John, it is a shame that you feel the appropriate response is simply to dismiss this as “rubbish”. If you have a valid point then make it constructively. Personally I would have to agree with much of what is in this article. My stepson just started secondary school and my husband and I are having a lot of trouble in order to opt him out of the Religious Education course. As pointed out in this article, even a cursory glance at the book of the course will lead you to believe that the course is aligned with the Christian and Catholic views of the world, which constitutes indoctrination. We have heard it from the school that the course is mandatory and about all religions. I feel we are being played for fools, since there can not be a balanced approach to all religions when 2/3 of the course’s book displays Christian/Catholic points of view. We are now waiting to meet some of the School’s representatives, but in the meantime, my stepson has to attend class, which seems quite unfair, especially since we do not expect this matter to be solved quickly. The question is especially more baffling to me and my husband since we are both Portuguese and we come from a secular education background. In the end, if the school insists that the class is mandatory and a matter for the Junior Cert Exam, what are our options? We are getting a lot complaints from parents regarding opting out at present so you are not alone. There are letters here for opting out of religion in primary and second level. The State RE Course is not mandatory and the school is just trying to force your stepson to take it. Hi Jane! Thanks a million for your reply! We will meet the school representatives as soon as they can and see how it goes before taking the matter outside of the school, but it really is important to know where to go next if our wishes are not respected by the school. I will keep you posted on this matter as I believe that sharing information is key to help other parents in the same situation. Thank you also for mentioning it, I have seen the opting out post, this is how I found this blog last week. I have read every article online that I could find. It was after reading a bit that we decided to write to the school. In hindsight, I think we should have asked specifically about religious education in a school that is named after a saint an all, but to be honest it never crossed my mind that we would have this problem, since we have expressed that we were not religious in the enrollment form for the school and also because it was quite simple to opt out of religious education (and confirmation) in primary school. Asking about religion in the school would not have made a difference. All schools at second level are obliged to have religious instruction. Denominational school and multi-denominational schools. ETB/VEC Community schools under the Deeds of Trust, Designated Community Colleges under the Model Agreement and non- designated Community Colleges under Circular Letter 73/74. In addition we now have this state Religious Education course under the curriculum. This course is not up to human rights standards and atheist and humanists are mentioned in a section called Challenges to faith alongside materialism and fundamentalism. As schools cannot have four hours of religion per week they combine the State Religious education course with the Guidelines for the Faith formation and development of Catholic students and present this course to all parents as being suitable for all religions and none. This is simply indoctrination and a breach of human rights law. Many schools are making it compulsory when they simply have no right to do this. Thank you so much for all the invaluable information you provide. It is so difficult to find out about your rights as a parent. If it wasn’t for your site we would be entirely in the dark as to how we can go about trying to protect our human rights in an education system which is clearly undemocratic.